Sometimes I just want dessert and that is all I want. Not appetizer, no entree, no main - just desserts. 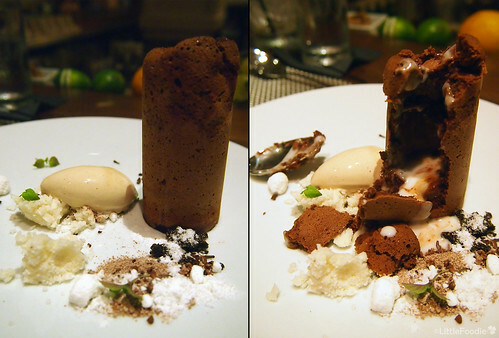 And for exquisitely prepared desserts, fine French restaurant Clio is the perfect place to fulfill the craving. Firstly at the time of this posting pastry chef Chris Cordeiro who prepared these lovely desserts during his last week at Clio in August has now left for new adventures. Good luck and you will be missed! Chris also prepares for the desserts at Uni Sashimi which is also hosted under the same roof. For the appetizer we tried the Raspberry and Lychee dessert. The dish is presented almost like a sculpture of alien terraine. 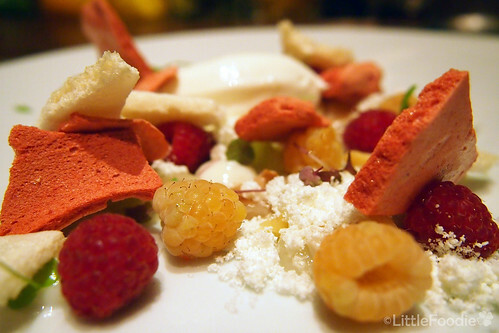 White and red raspberries pebbles are mixed with torn lychee meat are scattered among irregular shaped foams made from condensed raspberry and lychee flavours. Powdered sugary sweetness and a scoop of sour cream ice cream helps mellow out the tartness of the fruits. This was wonderfully refreshing and perfect for the end of summer. My self prescribed palate cleanser was the Jamaica Daiquiri which also served as a liquid dessert. 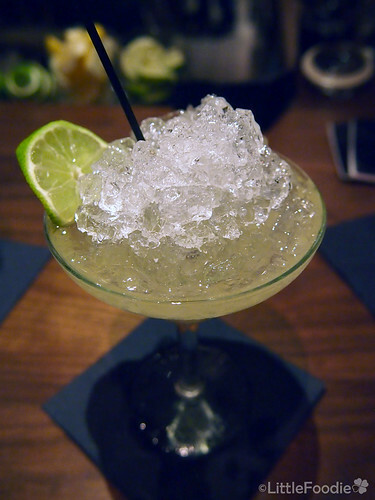 Rum, Luxardo maraschino, grapefruit juice and lime juice on crushed ice. Todd Maul and his team are absolute magicians in the bar and have a very extensive cocktail list which this post cannot do justice. For some of his other creations check my twitter account. For the main we tried the Chocolate Coulant which needs to be ordered 20 minutes ahead of time. As the raspberry and lychee dessert showecased overlays of two fruits in various forms, this was an ode to chocolate and coconut. The tower of chocolate coulant comes warm and when broken open cream mixed with half cooked molten chocolate dough pours out. On the plate are scattered coconut shreds, powdered coconut and cacoa, and cacoa nibs. Chris creates amazing desserts that accentuate repeating flavours so that they echo off each other to create a final masterpiece. Although we are sad he is leaving, Monica Glass, previously Assistant Pastry Chef at Le Bernardin, has joined the Clio and Uni Sashim group and I can't wait for another night of desserts. For those who want something more savory check out the late night ramen post next week. Visit if: craving for refined dessert or a great cocktail.